It’s with great sadness that we must report the passing of Sir John Hurt, the prolific actor who will live on in Doctor Who legend forever as the War Doctor. While Hurt celebrated his 77th birthday on 22nd January, he made his Doctor Who debut in 2013, at the age of 73, making a surprise appearance as a forgotten incarnation of the Time Lord in The Name of the Doctor. 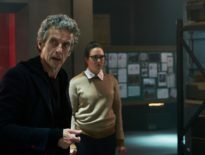 His role was pivotal in the 50th anniversary special, The Day of the Doctor, in which he joined Eleventh Doctor, Matt Smith and Tenth Doctor, David Tennant; flashbacks from the special featuring the War Doctor were then included in Listen and The Zygon Invasion. But of course, his appearance as the Doctor is just a small part in his extensive credits. John’s first roles were in the early 1960s, starring in Probation Officer, Drama 61-67, Z Cars, and The Wild and the Willing, followed by Armchair Theatre, 10 Rillington Place, and, arguably his first notable film, A Man For All Seasons. It was playing Quentin Crisp in 1975’s The Naked Civil Servant (produced by Doctor Who‘s Verity Lambert) that brought him to prominence, earning him the BAFTA for Best Actor. The following year, he played Caligula in I Claudius, alongside Derek Jacobi (Utopia), George Baker (Full Circle), and Brian Blessed (The Trial of a Time Lord: Mindwarp), and in 1978 provided the voice of Hazel in the harrowing but brilliant Watership Down. Conversely, he would later play antagonist, General Woundwort in the 1999-2000 TV series of Richard Adams’ book about the journey of a group of rabbits. On a personal note, this was very likely my first exposure to Hurt; Woundwort might’ve been a grim character, but John was exceptional, and this version of Watership Down continues to mean a lot to me, a perfect example of making drama for children without patronising, “dumbing down”, or hiding the dark truths of life. His voice work would continue with such animations as Disney’s The Black Cauldron (1985), The Gruffalo (2009) and its follow-up, The Gruffalo’s Child (2011), and Thumbelina (1994). Hurt proved prolific, his talent bagging him some great parts, but most will recall him as Kane in Alien (1979), John Merrick in The Elephant Man (1980), and Winston Smith in Nineteen Eighty-Four (1984), the lead in the film adaptation of George Orwell’s immensely popular novel. Aside from Doctor Who, he made big impressions on sci-fi, fantasy, and comic book fans with parts in V For Vendetta (2005), Merlin (2008-12), Hellboy (2004), Indiana Jones and the Kingdom of the Crystal Skull (2008), and in numerous Harry Potter movies between 2001 and 2011. 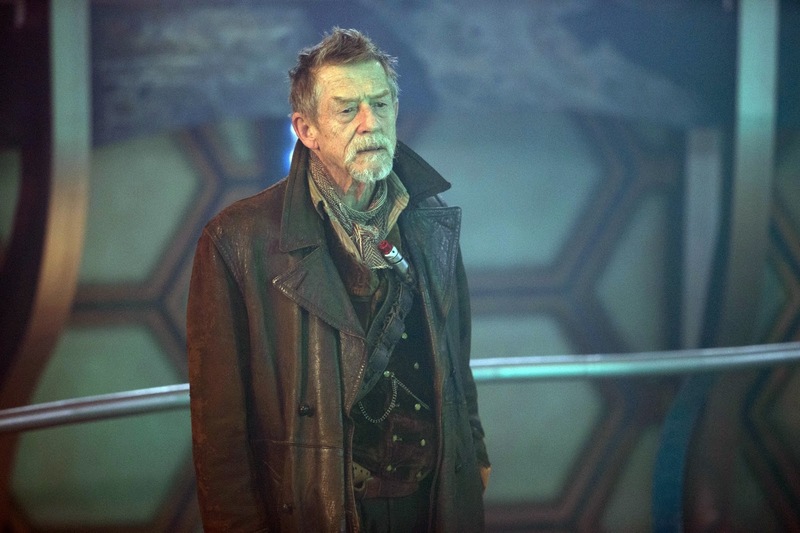 Despite battling pancreatic cancer, he continued working – and most pleasingly revived the War Doctor for Big Finish. 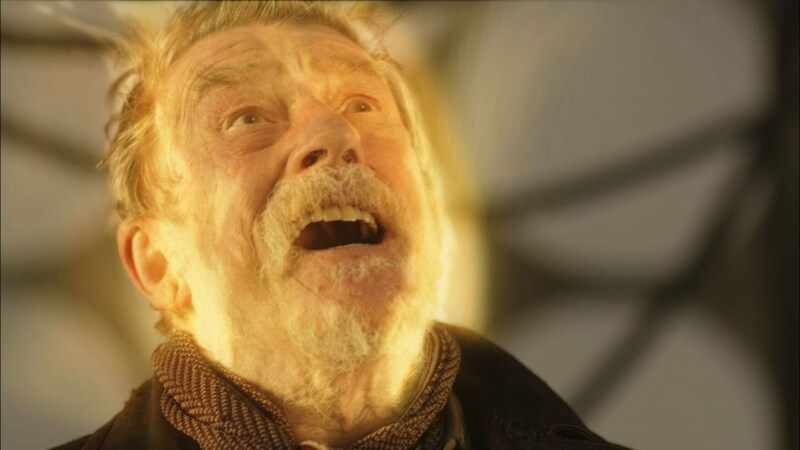 With co-stars like Jacqueline Pearce, Nick Briggs, and Louise Jameson, there are four The War Doctor box sets, the first being released in December 2015: the final one, Casualties of War is released next month. Having been honoured with a lifetime achievement award by BAFTA in 2012, John was knighted in 2015 for services to drama. News of his passing has shaken us all. Come back to The Doctor Who Companion throughout this coming seven days because, from Monday, we’ll be celebrating his talent, kindness, and generosity in a special week devoted to our very own War Doctor. John died at his home in Cromer, Norfolk, on Wednesday 25th January 2017. He’s survived by his wife, Anwen Rees-Myers, and two sons, Alexander and Nicholas. Our thoughts and deepest sympathies of course go to his family and friends. Needless to say, he will continue to mean a huge deal to millions of people, the Doctor now and forever.